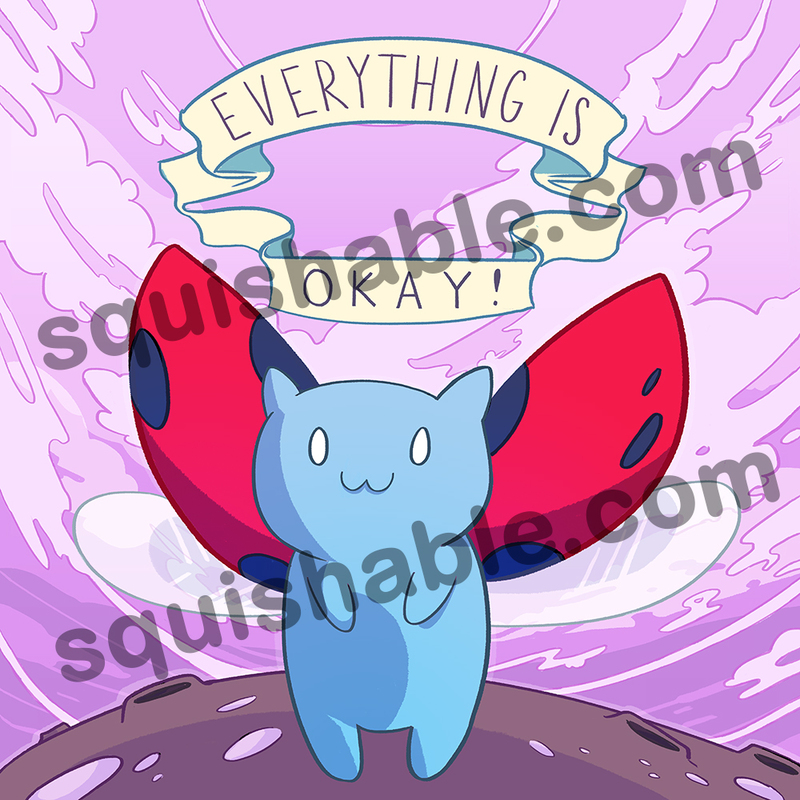 Everything Is Okay Catbug Pillow: An Adorable Fuzzy Plush to Snurfle and Squeeze! Why so blue, Catbug? Oh, you're not blue blue, just...blue! It's hard to be blue when things are so great! Peanut butter bars are delicious! Soft tacos exist! Friends are awesome and there are adventures to be had! So rest your head on this cozy pillow of awesomeness and remind yourself that no matter how blue YOU might be, everything is okay!